Fresh made almond milk in my is hard to beat. It are a wonderful milk substitute for vegans and the lactose intolerant, or actually everyone in my opinion. Although, I feel like calling it a “milk substitute” it doesn’t really do it justice, because nut milks on their own taste great. Even when I used to eat dairy, I never really liked the taste of milk. 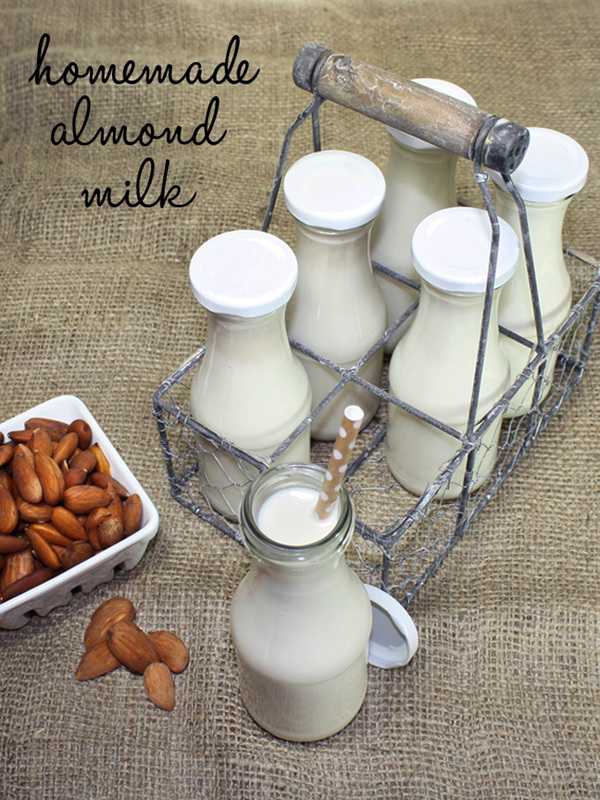 Nut milks are super easy, and you can make them from most nuts and seeds! 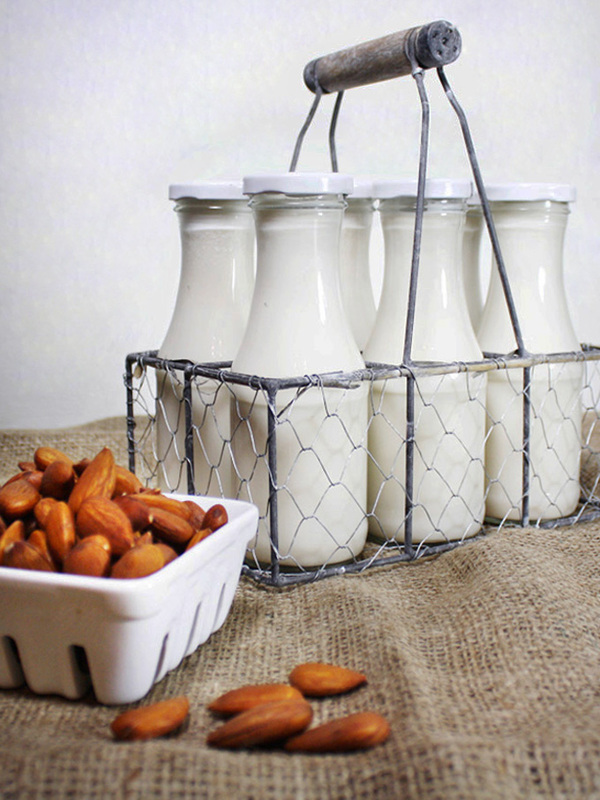 If you have a nut allergy, seed milks can be a great choice for you. 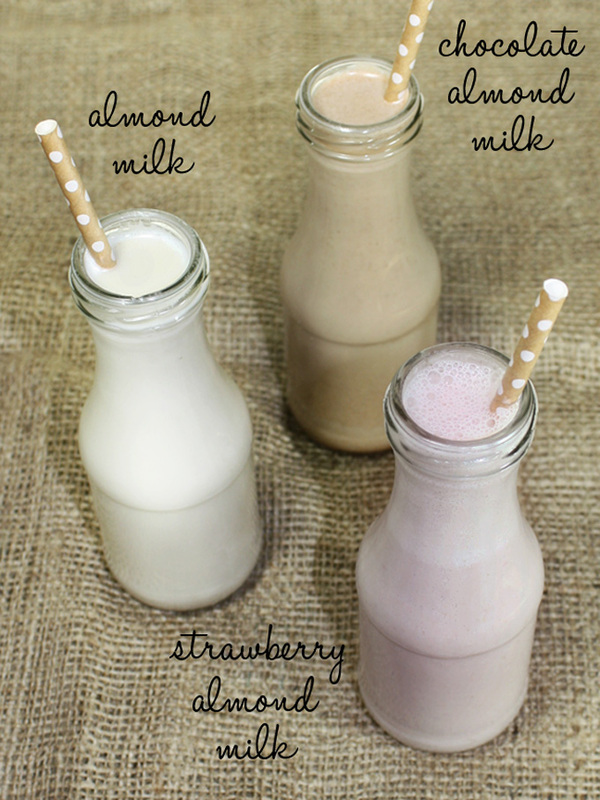 You can make strawberry almond milk or chocolate almond milk, by simply adding strawberries and cacao powder. They are absolutely divine! Instead of just making almond milk for this post, I made it with cashews, hazelnuts, Brazil nuts, pine nuts, hemp seeds, sunflower seeds, and pumpkin seeds. Except for the sunflower seed milk, they all have a nice white milky color. Personally, I think almond milk, cashew milk, and Brazil nut milk are the most versatile. They are great by themselves as well as when used in cooking. Hazelnut milk is hazelnutty and delicious on its own or as a chocolate hazelnut milk. Pine nut milk, sunflower seed milk, pumpkin seed milk, and hemp milk tend to have their unique flavor show through a bit more. Some people might not like that but if that’s the case, just turn it into a strawberry or chocolate flavored milk! It’ll be yummy! The process of making nut and seed milk only consists of 3 steps. Soak the nuts or seeds in purified water or spring water and leave it out in room temperature. Place in a spot where it’s not in direct sunlight. Adding a pinch of salt can inhibit bacterial growth, and can be a good idea during summer time. Change out the water once or twice a day. Once soaking is done, drain and rinse. The used water contains enzyme inhibitors for the nuts and seeds, so so do not use it for making nut or seed milks. Soaking time for the nuts and seeds can differ, but I just simplify it for myself and do 12 hours for nuts, and 6 hours for seeds. There are some nuts that require less soaking time, or no soaking at all. 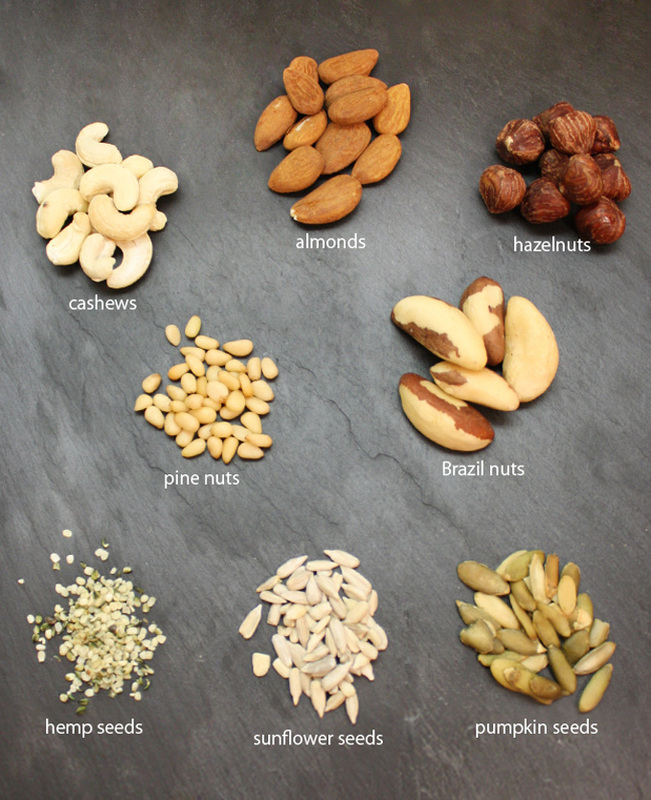 *Some say Brazil nuts don’t need to be soaked, and some say they do due to high phytic acid content. The jury is still out. Though these two are not cheap, it could be a great option for whipping up milks quickly. 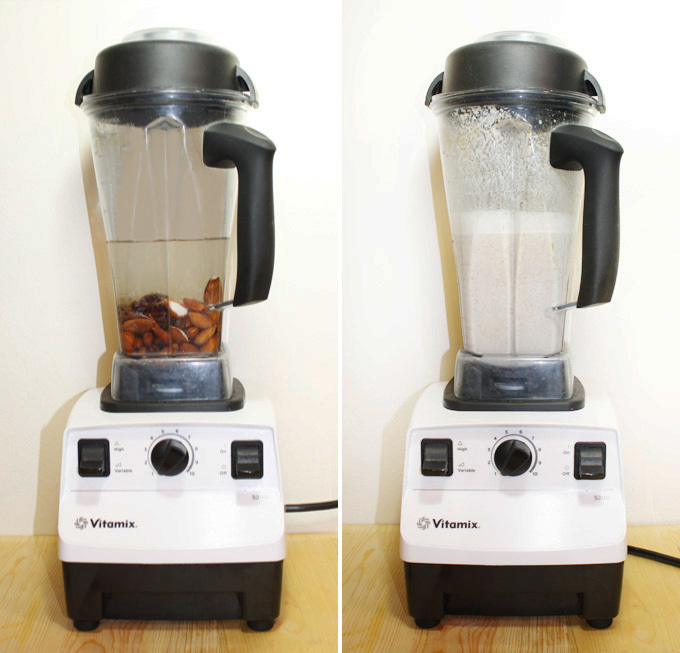 Put almonds (or other nuts or seeds of your choice), water, and dates in the blender, and blend until smooth! Set a nut milk bag into a bowl, and pour the mixture into the nut milk bag. Ring out the bag until the milk doesn’t come out. Voila! You’ve got yourself an almond milk! You’ll be left with milk in the bowl and almond pulp in the nut milk bag. Transfer the milk back into the blender carafe and pour it into a container of your choice. What do you do with the pulp? You can re-purpose it in many ways. Such as put it in smoothies, macaroons, crackers, cookies… the list goes on! One of my favorite’s is using it in my raw vegan garlic rosemary croutons recipe. Nut milks are a tasty and healthy option. No need to “miss out” on having your milk and eating it too while living plant based! I hope you give them a try so you may enjoy them as much as I do. Soak the almonds for 12 hours (nuts for 12 hours, seeds for 6 hours except for short soak nuts like cashew 2-4 hours, macadamia 2 hours, Brazil nuts 3 hours). Drain and rinse. Add all ingredients into the blender. Blend until smooth. Set a nut milk bag into a bowl and pour the mixture into the bag. Ring the bag completely. Store the milk in an airtight container and refrigerate. Keeps for 3 days. Store the pulp in refrigerator (keeps for 3 days) or freeze it. Pulp can be used in smoothies, crackers, cookies, etc. Store in an airtight container and refrigerate. Keeps for 3 days. Thanks for sharing this information so freely. You should think about writing a book. Thank you so much for your kind words! That’s definitely one of my goals, so one day! 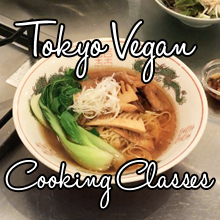 Hi, I'm Mariko, and plant-based cooking is my passion. My creations are plant-based, mostly raw, and gluten free. I have a certificate in Plant-Based Nutrition through eCornell, and I am a graduate of the Matthew Kenney Culinary School. Hope you enjoy my recipes! Check out my About page to find out more about me.